Dublin Contemporary have announced their full programme for this September, including Catalyst Arts’ Multiples (including me). 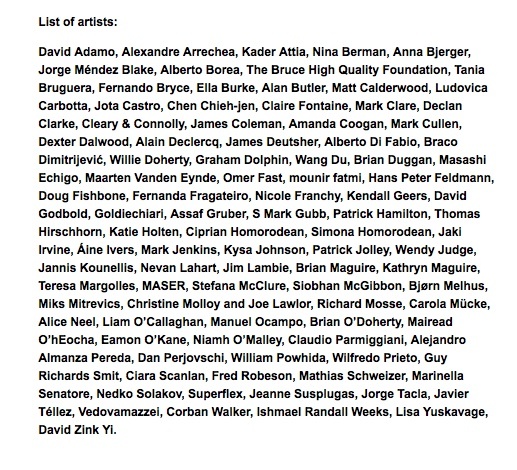 A full list of participating artists can be found at Dublin Contemporary’s website. Save your pennies for that EXCLUSIVE, vintage Royal Wedding tea-towels and Buckfast memorabilia.